If you’re spending this weekend or Fourth of July weekend at the beach, we’ve found the perfect top to wear that’s foolproof. 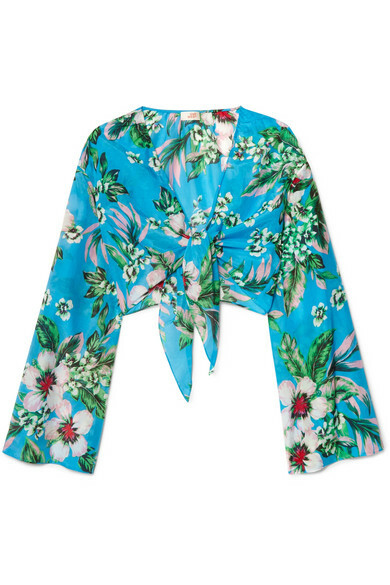 The tropical printed top is cut from lightweight cotton, and has a slightly draped cropped fit so you can wear it four very different ways—the first way over swimwear, the second way by itself with high waisted jeans, the third way over a top and jeans if it’s a little chilly, and the fourth way over a dress as a bolero. It’s incredibly versatile, the custom floral pattern is beautiful, and you have to admit, it’s the easiest top you’ll wear all summer.